Oh boy, have I got some news for you. It’s officially Doughnut Week and I am officially pumped!! 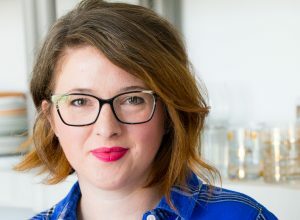 The awesome Carrie (Bakeaholic Mama) and Brandy (Nutmeg Nanny) have organized a group of doughnut-loving bloggers to share some pretty incredible and creative (if I do say so myself) doughnut recipes this week. They also worked hard to organize some fab prizes for our lovely readers (psst…that means you!). Today, Wednesday and Friday, we’ll all be posting new doughnut recipes and giveaways for your viewing, eating and winning pleasure. 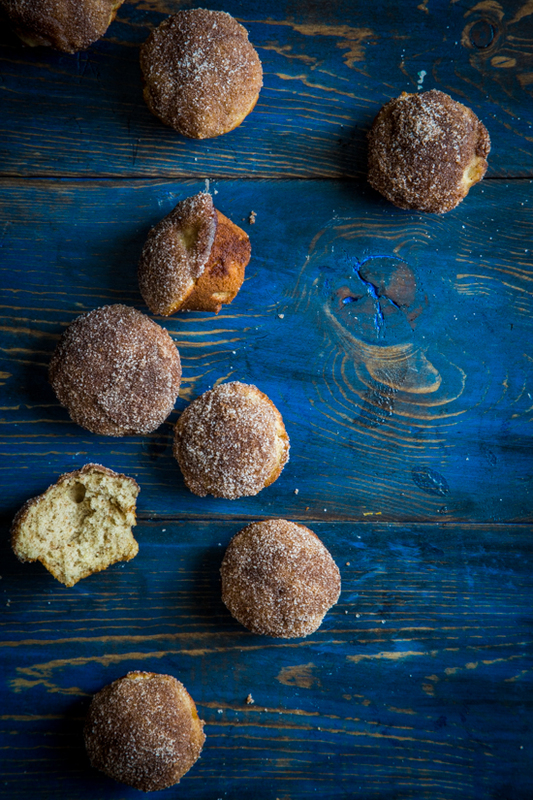 I’m kicking off Doughnut Week with some sweetly spiced, baked Chai Spiced Doughnut Muffins. I wanted to find a baked doughnut recipe that anyone could make, regardless of whether or not you owned a doughnut pan. I came across a great base recipe from King Arthur Flour and knew that it would be a good starting place. 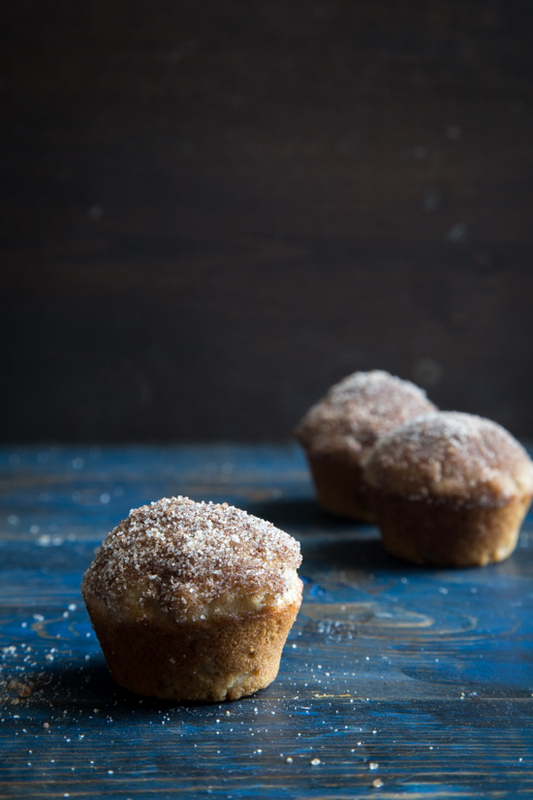 So, I whipped up some Chai Spiced Doughnut Muffins, just for you. They taste like cake doughnuts but look like muffins and I didn’t have to use any crazy equipment. Win win. A few months ago, I shared a recipe for Chai Spice Snickerdoodles, for which I splurged and bought a $12 bottle of cardamom. Yeah. This is something I typically avoid doing. I don’t like buying expensive, specialty ingredients, particularly for only one recipe, but I had been quite curious about cardamom for a long time and finally gave in and bought some. Well, let me tell you, I don’t regret that purchase for even one second. Cardamom has changed my life. Okay, that’s a gross exaggeration, but I do really like it. It’s strong and distinct and you only need a smidgen to deliver a powerful flavor punch. I’m not sure if you’ve noticed, but I’ve been working it into as many recipes as possible like my Rum Glazed Pecans and my Butternut Squash Soup. What can I say? I like to get my money’s worth out of an ingredient, plus I tend to get on kicks and perhaps I’m enamored with Cardamom for the moment. I think there could be worse things in life. Especially because it’s freaking delicious. 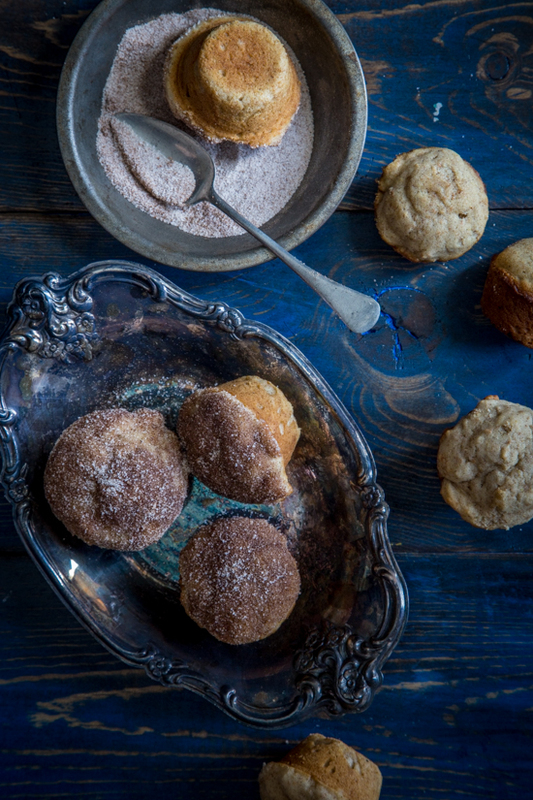 These Chai Spiced Doughnut Muffins are light and sweet and the perfect companion to a morning cup of coffee. According to my kiddos, they went perfectly with a glass of milk, too. Speaking of coffee, I’m happy to announce that thanks to the hard work of Carrie and Brandy, Doughnut Week is hosting a Keurig and K-Cup Pack giveaway to one lucky reader! Here is the widget to enter for your chances to win a Keurig Brewer and K-Cup Pack! For more fabulous doughnut recipes, check out my fellow Doughnut Week bloggers (links below) and don’t forget to enter today’s giveaway! Enjoy and Happy Doughnut Week! Preheat oven to 425 degrees. Grease mini muffin tins with non stick spray and set aside. In the bowl of an electric mixer, cream together butter, oil, granulated sugar and light brown sugar with the paddle attachment until fluffy. Add eggs, one at a time, beating until combined. In a medium sized bowl, whisk together spices, baking powder, baking soda, all-purpose flour and whole wheat flour. With the mixer on low, slowly add the milk and dry ingredients to the butter mixture, alternating between milk and dry ingredients. Be sure to start and end with milk. Beat until just combined. Scoop batter into prepared muffin tins and bake for 10-11 minutes or until toothpick inserted into the muffins comes out clean. Allow muffins to cool before removing from tins. Top muffins with Chai Spiced Topping (see directions below) and enjoy!! For the Chai Spiced Topping: Melt 3 tablespoons of butter. 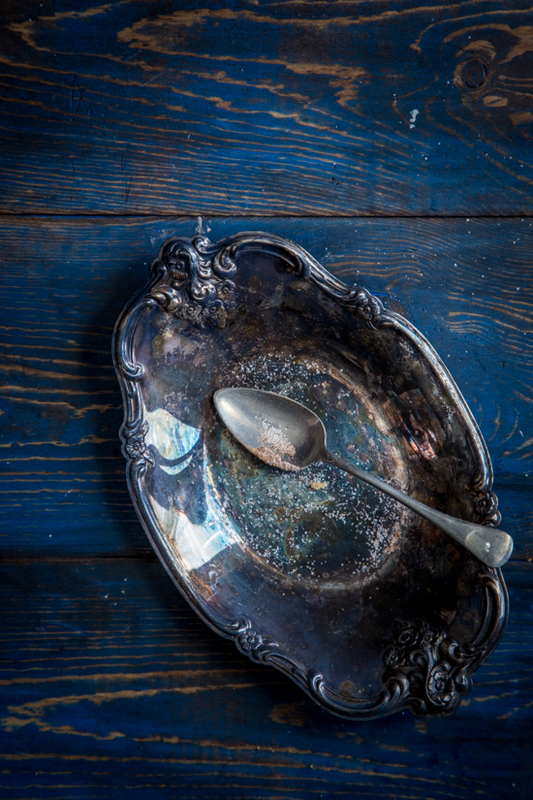 In a small, shallow dish mix 2 tablespoons of granulated sugar with 1 teaspoon ground cinnamon, 1/2 teaspoon ground ginger, 1/4 teaspoon ground allspice and 1/4 teaspoon ground cardamom. Dip the tops of the cooled muffins in the melted butter and then into the sugar and spice mixture. Allow topping to set for a few minutes before serving. Enjoy! These look pretty fantastic! Thanks so much for participating, looking forward to seeing what else you have in store this week! Love that last pic with the empty plate and sugar dish. It’s beautiful. I’ve always wanted to make donut muffins! What a creative flavor! How creative! I love the chai!! Can you use almond or soy milk in place of the whole milk? Ok…these are brilliant. Chai donut muffins? Wow. I am totally making these. p.s. I own a spice company and we sell cardamom by the ounce. Much cheaper than $12 bottles…let me know if you’d like more info. Oh my word these look INCREDIBLE. YUM! Psyched for donut week! Is there anything better? I want to lick the plate clean with all those little chai crumblies! Happy Doughnut Week!! I adore cardamom! In fact, I have 2 bottles of it right now (don’t ask), but I needed some additional inspiration on baking with it. It’s such a cozy but different spice. Perfect for winter! Very good recipe.I love to make muffins. meyer lemon scones + a baby shower!